Brunch is a Big Deal in New York City. On the weekends, restaurants in the five boroughs contain an endless sea of midday dining options, so it’s not easy to tell which ones actually care about the food and the experience, or which are just serving some eggs and other brunch-y stuff to appease the masses. Also, no one wants to travel far for the (kind of) morning meal. With that in mind, here is a guide to excellent brunch, with options spread across NYC for geographic ease. Ritzy or affordable, creative or straightforward, this map has it all. Note: This is an updated version of a map originally published in 2017. The brunch menu at Marcus Samuelsson's perennial favorite has cornbread with honey butter, fried chicken & waffles, and biscuits with gravy. Beyond the food, Red Rooster always has different events and Harlem-influenced touches, such as live performances from area musicians or an exhibit of hats from a local fashion icon. 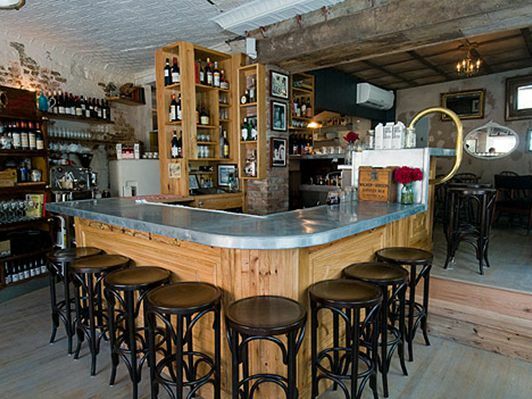 This spacious Upper West Side gastropub serves way more than just pickles. The brunch menu has several types of biscuit sandwiches, egg dishes, and salads, plus poutine and mac & cheese. To drink, Jacob's Pickles has more than two dozen beers, available in various pour sizes, or as flights. It’s a fun place to brunch. 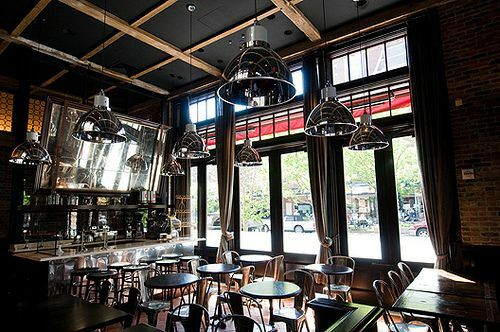 For a dependable, relaxing morning meal, head to Astoria's Sparrow Tavern. All the brunch staples are there, from eggs sandwiches to pancakes. 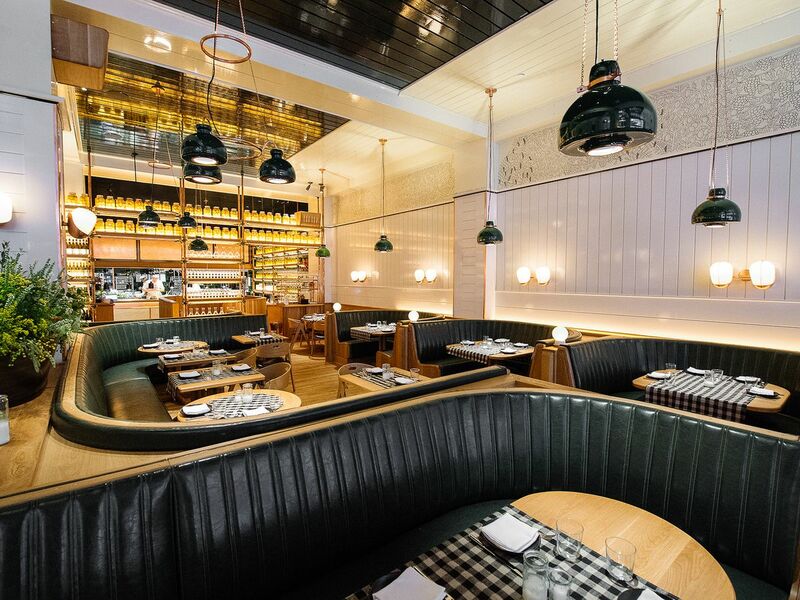 Daniel Boulud’s Mediterranean-inspired restaurant near Lincoln Center has a cushy, earth-toned dining room, and a menu that's got a little something for everyone. Consider ordering the shakshuka, chicken tagine, or the sensational lamb burger. 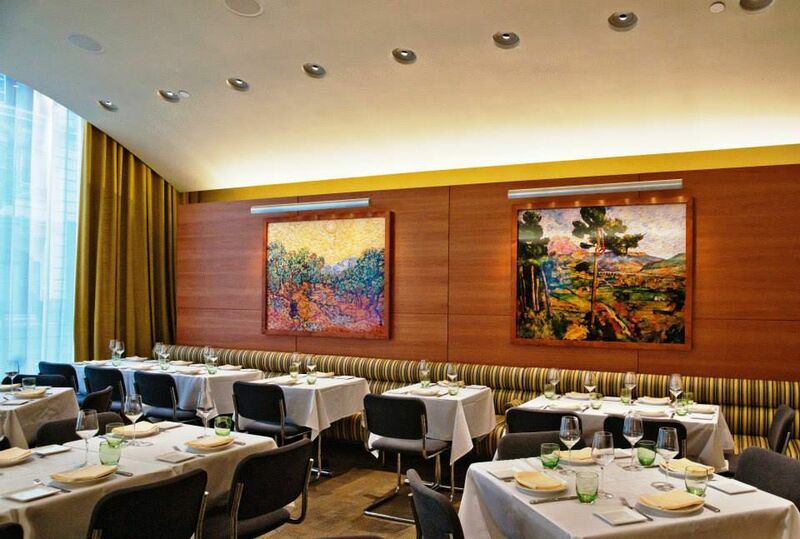 Two- and three-course prix fixe menus are available in addition to an a la carte menu. Over the last few years, bread guru Eric Kayser has expanded his Parisian bakery/cafe mini-chain to several location across the city, and all of them are reliably good. The original NYC outpost is a nice place to visit before or after hitting up the museums, or window shopping on Madison Avenue. During brunch, the dine-in menu has a wide selection of tartines, salads, egg dishes, and pastries. The croque-madame is an especially strong choice. 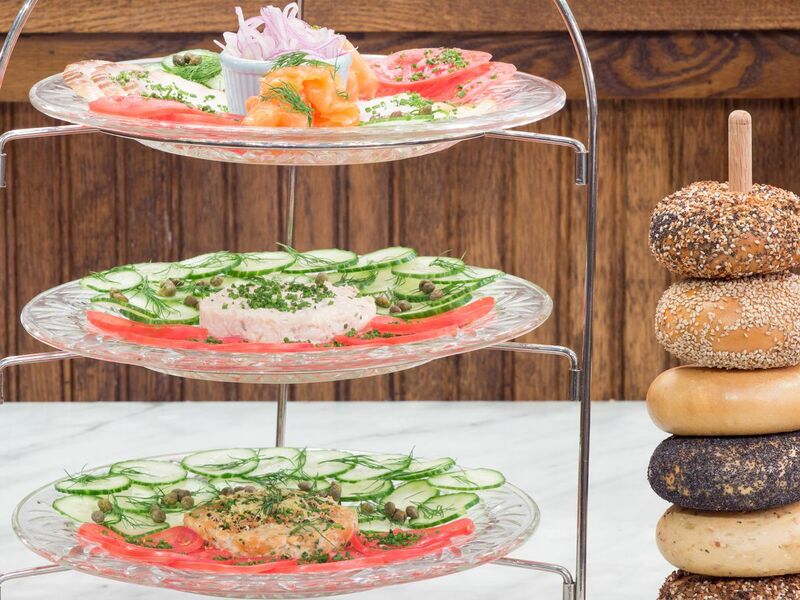 A classic Jewish deli is one of the most comforting ways to spend brunch, whether noshing on indulgent challah French toast, lighter matzah brei, or a classic whitefish salad sandwich. There’s a whole egg section, too, with choices like omelets, eggs any way, and corned beef hash. 2nd Ave Deli endures as a throwback option for Jewish classics in a diner-like, uniquely New York space. Now in a new location, this quirky restaurant famously serves a slew of different kinds of egg Benedicts for brunch, from a Cajun-inspired shrimp and fried tilapia version to one with brie cheese and fig jam. It also offers crazy fried concoctions like a Guy Fieri-approved spicy mac-and-cheese ball. Queens Comfort is one of the most popular brunch restaurants in the area, so to avoid the wait, consider showing up at 10 a.m. when it opens, or after 2 p.m., when service is winding down. 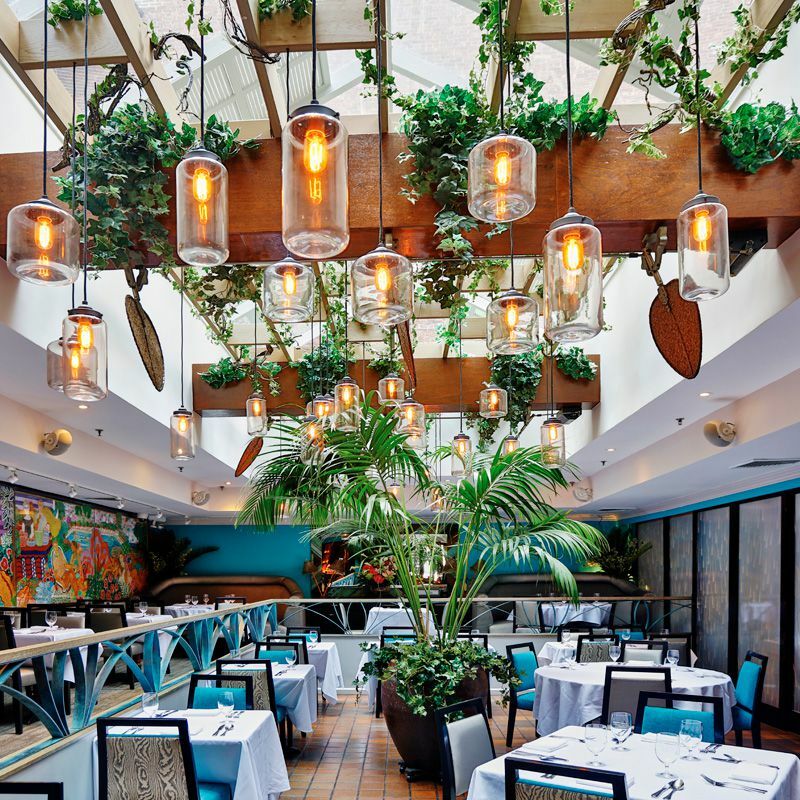 Wake up with live music, tropical decor, and brightly colored art in a restaurant that dates back to 1963. Try the ropa vieja, a Cuban national dish of shredded beef, or the lechon asado, roast pig with crackling skin, at this elegant and old-school Cuban spot, first opened in 1963. 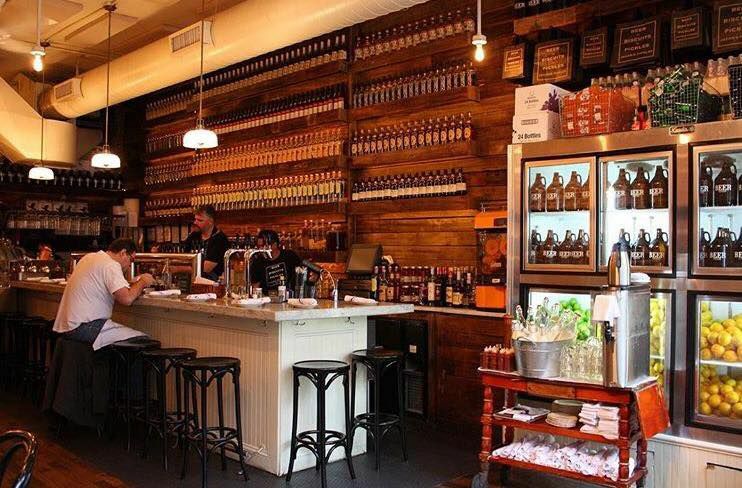 The popular Long Island City restaurant gets many of its ingredients from local organic farms, and the bar is pouring natural and organic wines. The menu changes regularly, and as a nice reward for the wait, the staff serves a complimentary basket of pastries before the meal. Sample dishes include slow cooked pork with beans & eggs; roasted duck hash with dried cherries, red onions, pine nuts, and eggs; and a shredded brisket sandwich. Chef Marc Meyer has a knack for serving rustic, market-driven New American fare, and the quality extends to brunch, too. 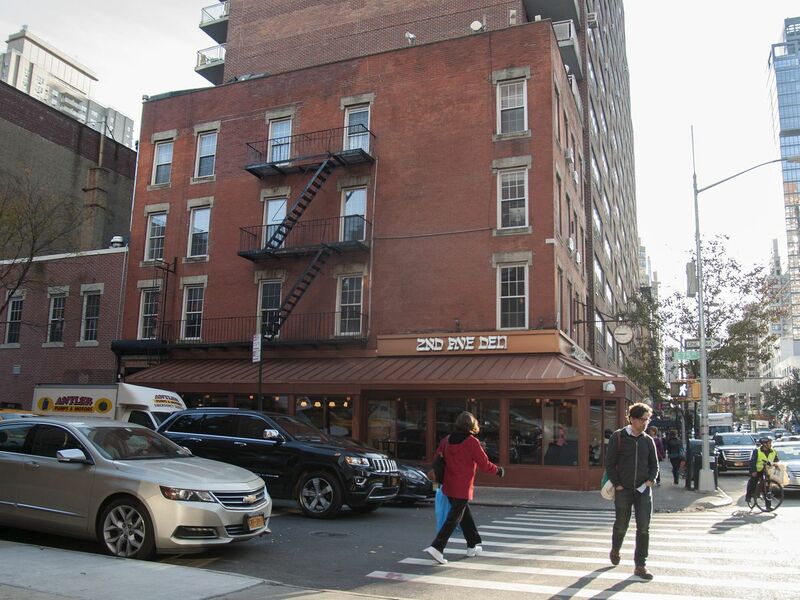 This bright corner restaurant features huge windows and sidewalk seating — perfect for watching the tourists who are checking out the High Line. The charming restaurant from Stephen Starr and Justin Smillie famously serves one of the city’s best brunches, with a menu that has both classic and more adventurous options. Besides dishes like eggs Benedict and buttermilk pancakes, Upland serves more lunchy options like smoked salmon pizza and cacio e pepe, too. Or, you can order like President Barack Obama, who ate the burger when he visited the restaurant in 2015. The New York location of High Street is just as good as the Philadelphia original. Eli Kulp and Ellen Yin’s restaurant has a cafe in the front room where you can grab creative pastries and coffee to go, plus a main dining room where you can enjoy some of the city’s finest breakfast sandwiches. If it’s your first visit to High Street, get the Redeye Danish and The Bodega sandwich. Jean-Georges Vongerichten's new vegetarian venture AbcV features brunch drinks like the Champagne cocktail, which includes blueberries, lavender, and damiana, an ingredient touted as an aphrodisiac. Also on the menu are various entrees to feed anyone, like gluten-free almond pancakes, various dosas, and grain bowls. 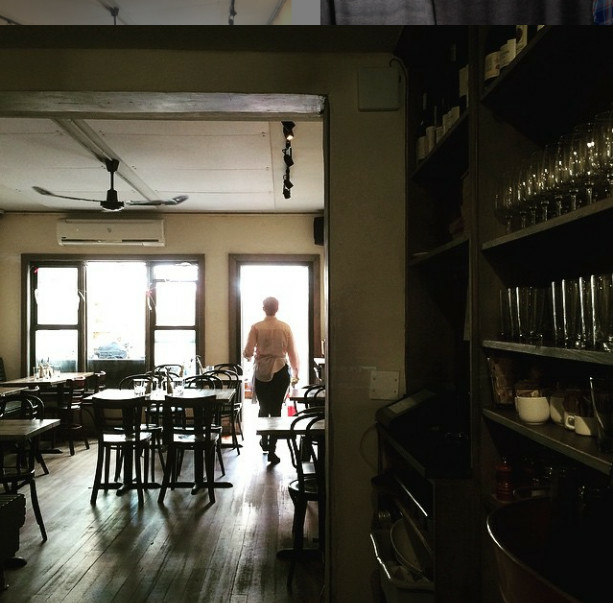 Gabe Stulman's West Village cafe is a cozy space run by friendly people, and the coffee here is very good. The tiny kitchen cranks out French-American comfort food dishes during brunch, including a fried chicken sandwich, avocado toast, and grits and greens. This cozy West Village cafe serves affordable Middle Eastern-inspired sandwiches, salads, and egg dishes that are tasty, but not too heavy. It’s no wonder that there’s always a crowd of fashionably dressed people milling out front. Head to this Moroccan boîte, open since 1983, for halloumi with eggs, assorted mezze, big salads, and terrific tagines. Students and European tourists love this place, and there’s a sizeable outdoor patio when it’s nice out. This all-day restaurant from Enrique Olvera and Daniela Soto-Innes is a lovely modern space with great people watching for weekend dining. Consider dishes like tlacoyos, green or red chilaquiles, or the guacamole goat cheese toast. 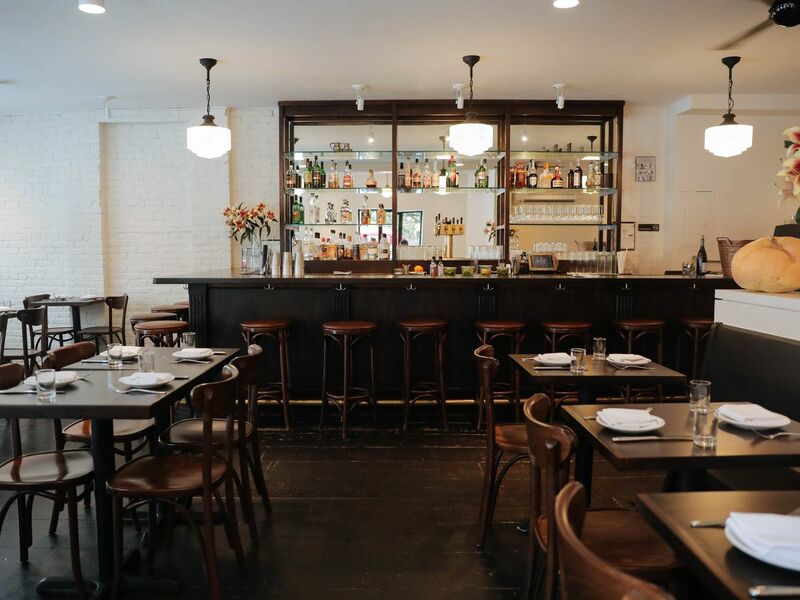 Greenpoint’s popular neighborhood bistro Chez Ma Tante takes its French Canadian-ish bent at brunch and executes it into simple but flavorful dishes like an egg and sausage sandwich, stracciatella with almonds and lemon, and a pork and pistachio terrine. The highlight of daytime dining here, though, are the pancakes — big, thick specimen that aren’t too sweet or dense. Share everything. The people at Major Food Group — who also operate Carbone, Parm, Dirty French, and Santina — created a diner/deli/appetizing shop that feels like something from a Hollywood musical. Sadelle’s is big, bright, and busy, and the food is always right on the money. Make sure to order a tower of bagels with spreads for the table. Greenpoint’s best place for people watching also happens to serve great breakfast and lunch dishes that won't break the bank. The Moroccan scramble might be the best thing on the menu, and the avocado toast will make you realize why people love avocado toast so damn much. A bonus piece of trivia about Five Leaves: Heath Ledger was one of the investors. 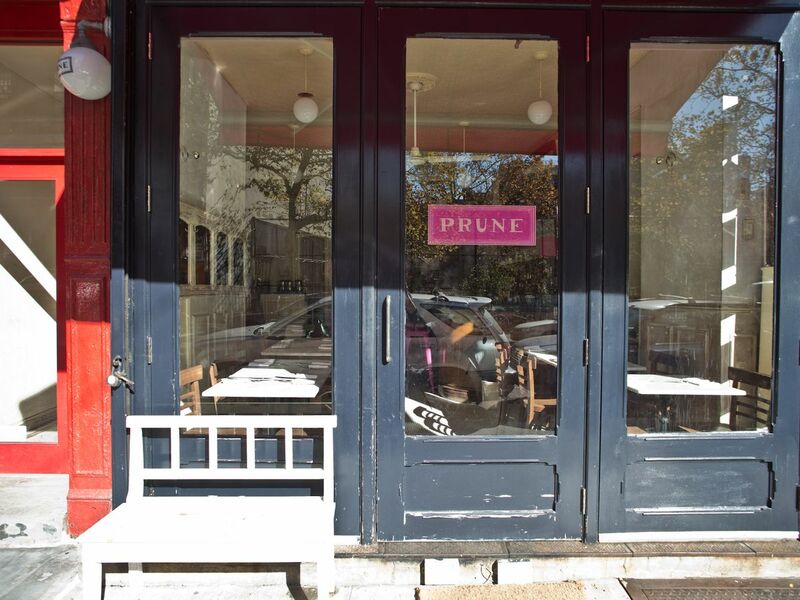 Chef Gabrielle Hamilton has written about how intense brunch at her East Village restaurant is behind the scenes: “Sunday brunch is like the Indy 500 of services at Prune.” Still, Prune kills it during the weekend rush, offering both classics breakfast items like eggs Benedict and less classic ones like lamb sausage with oysters on the half shell. It also has an expansive bloody mary menu. 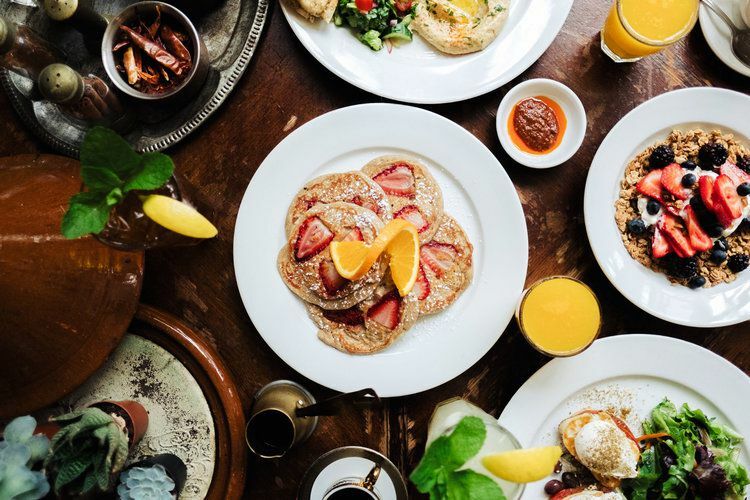 Keith McNally’s enduring Soho brasserie is one of the most spectacular places to enjoy brunch in New York City. 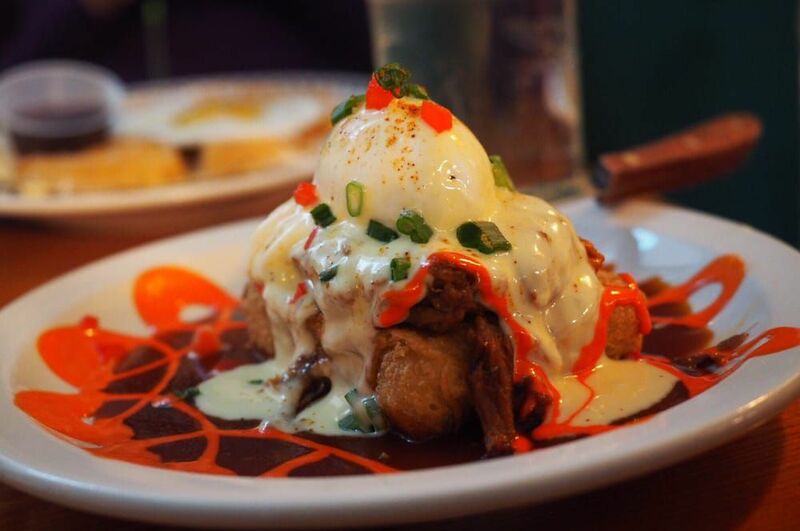 It actually might be the greatest brunch restaurant in the world, for that matter. 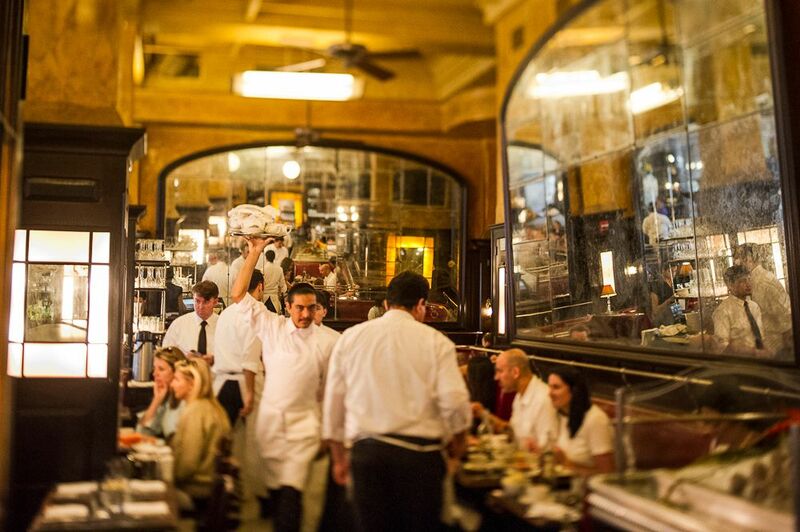 Balthazar is a swell place to go with a small group for a celebratory meal on the weekends. For a real splurge, order a seafood tower, steak tartare, and Champagne. 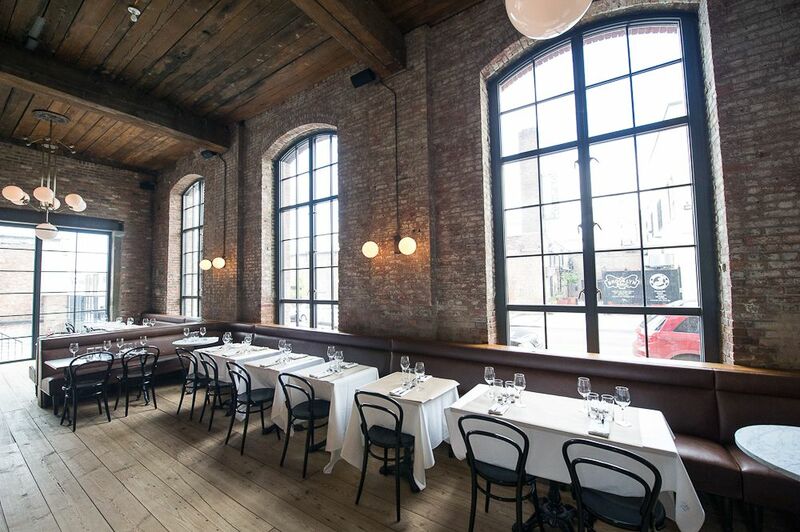 Andrew Tarlow’s restaurant in the Wythe Hotel, led by chef Christina Lecki, has a very pleasant vibe during the morning and early afternoon, thanks to the gigantic windows that run along the eastern edge of the dining room, and the faint smell of smoke from the kitchen’s wood-fired grill. 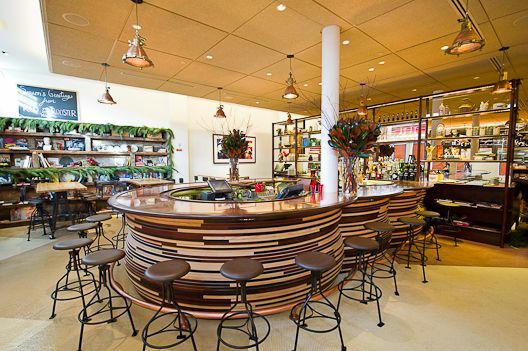 Order anything with seasonal vegetables or housemade charcuterie. Great coffee and pastries, too. Note: Tip included. 24. Clinton St. Baking Co. 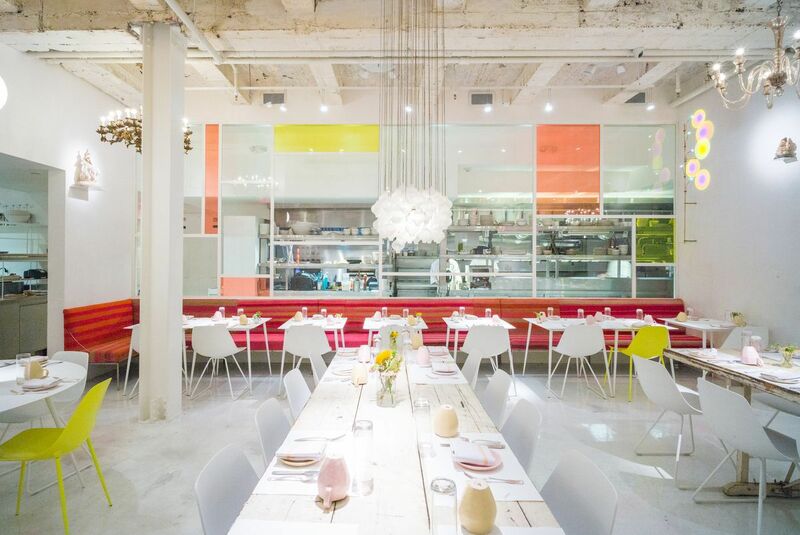 The restaurant from chef Neil Kleinberg is one of the most famous brunch destinations in the city. It’s best known for pancakes, and people wait hours on the weekends to nab a seat to try them. 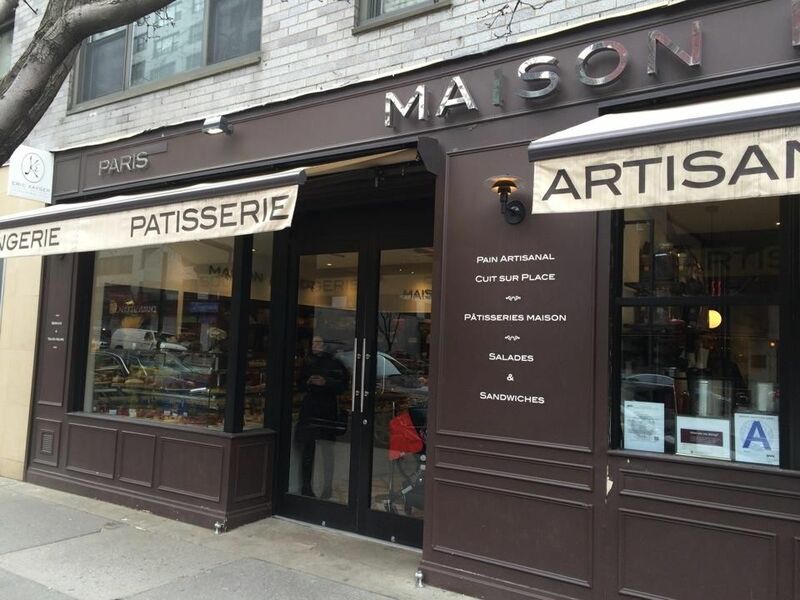 Since it opened in 2001, Clinton Street Baking Co. has expanded to Dubai, Tokyo, and Singapore. 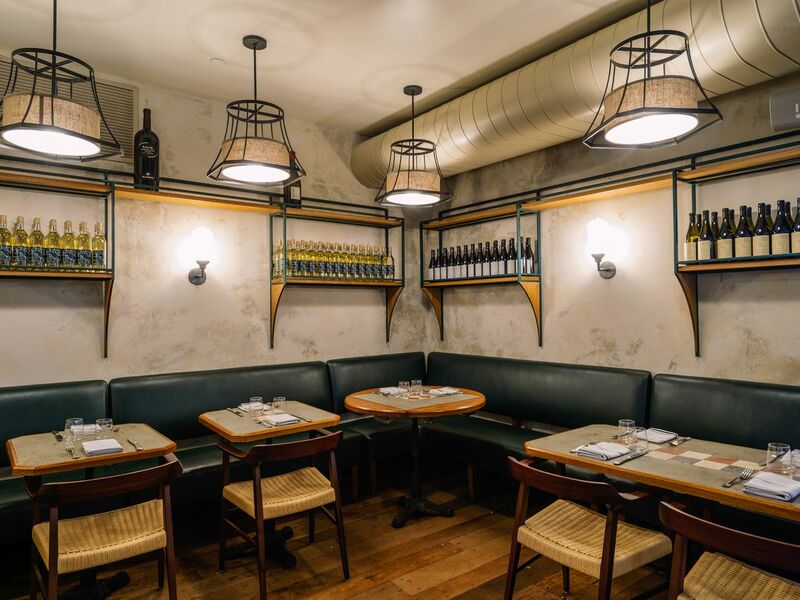 Locanda Verde is arguably New York's finest wood-fired seasonal Italian restaurant — and there are a lot of good ones throughout the city. During brunch, consider ordering the uova in purgatorio, the lemon-ricotta pancakes, or the shaved porchetta sandwich. After all these years, Locanda is still chef Andrew Carmellini’s most satisfying restaurant. The iconic Jewish appetizing spot Russ & Daughters’s Lower East Side sit-down cafe serves a very fishy brunch. Boards of salmon and cheese spreads come with bagels, bialys, shissel rye, or pumpernickel bread. And there are egg dishes, too, like a smoked salmon Benedict with challah as well as sturgeon with eggs and toasted pumpernickel. Sweet options include blintzes and indulgent chocolate babka French toast. The cocktails are boozy, and there are four kinds of bloody marys, including one made with caraway-infused vodka, rye croutons, and pickled vegetables. 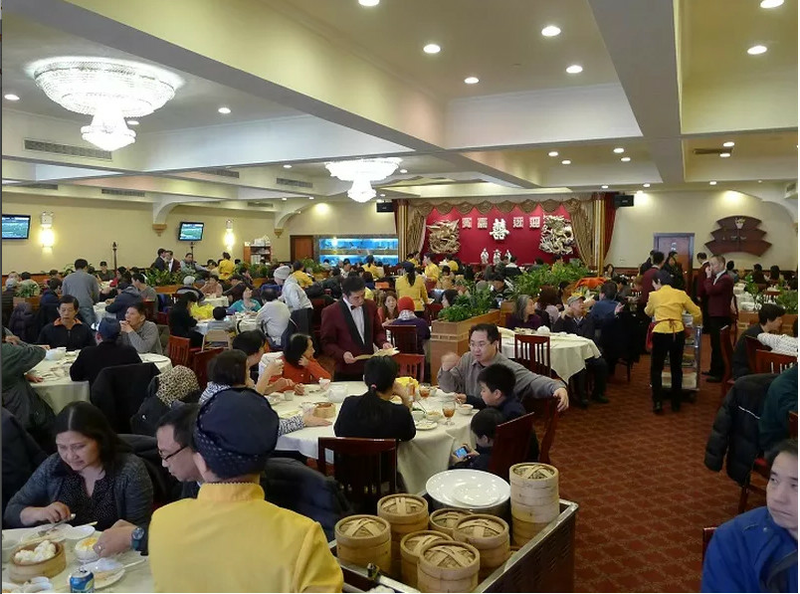 Royal Seafood is one of Chinatown’s best dim sum parlors, and devotees crowd the hall — still decorated in old-fashioned red and dragons — at lunchtime. 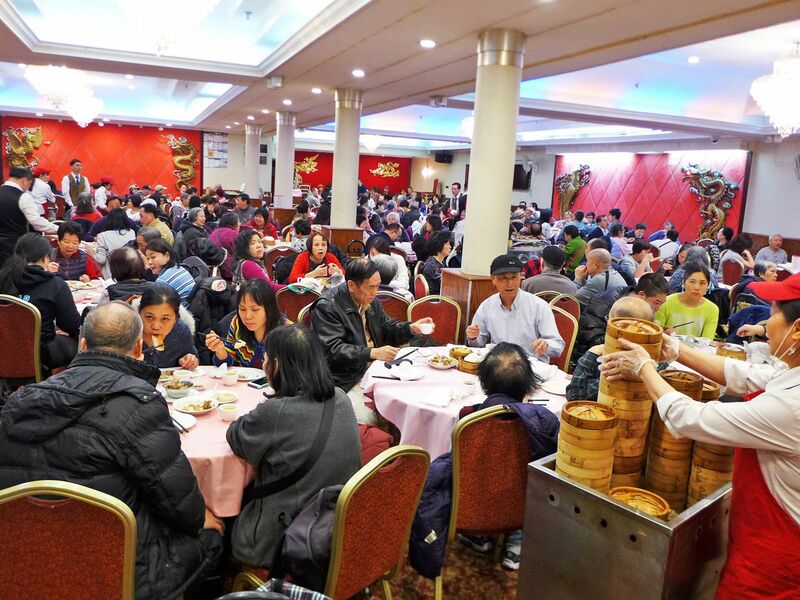 The carts speed back and forth dispensing some of the best braised tripe in town, and the miniature custard pies, fresh tofu, shrimp rice noodle rolls, and pea shoot dumplings are also top notch. Don’t be dissuaded by the throngs of people on the sidewalk, and the clipboard full of names inside — Egg is totally worth the wait. 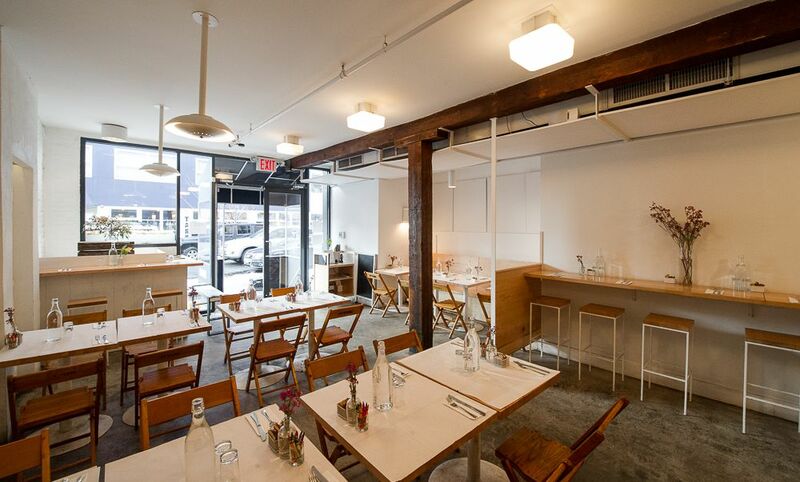 Williamsburg’s classic brunch restaurant serves country-style breakfast and lunch dishes, cooked with care. Consider ordering any of the breakfast meats on the side — especially the scrapple if it’s available — and pay attention to the specials, which are often terrific. 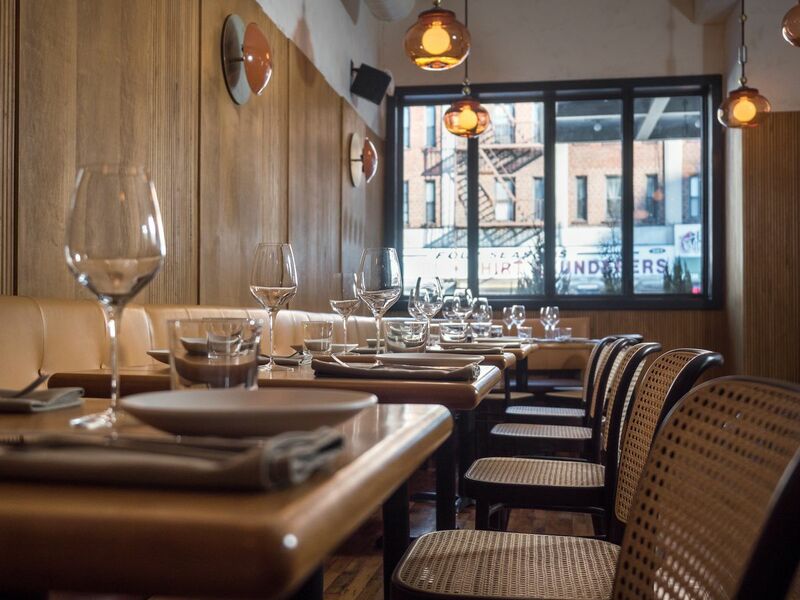 This rustic but elegant South Williamsburg Italian restaurant has been dishing out consistent Southern Italian fare since 2016, and that style extends to weekend brunch, too. Go for semolina pancakes with lemon curd or the breakfast bowl with farrow, mushroom, kale, and broccoli rabe pesto. Three pizzas get a breakfast bent as well, like lox pie with everything spice. Eating pizza for brunch is one option at Roberta's, but the midday entrees are also worth checking out. On an average weekend, you might find a soft scramble with seasonal vegetables, split pea soup with Benton's bacon, or cornmeal pancakes with vanilla-pear butter. Pre-noon diners should have no problem snagging a seat at the communal tables, and those who need to wait can take solace in a nicely spiced bloody mary at the tiki bar. 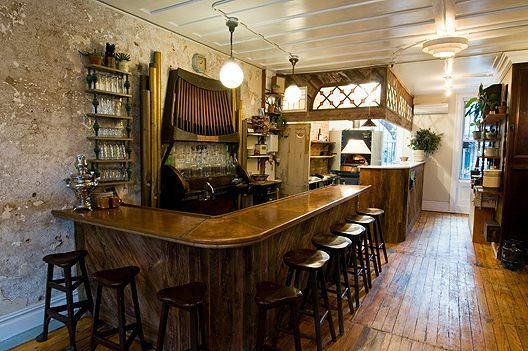 This is one of Brooklyn's coolest restaurant spaces — it feels like a Prohibition-era barroom that was boarded up decades ago and recently brought back to life. The menu is full of rustic dishes, like sourdough pancakes, shrimp and grits, and a big, fat cheeseburger. 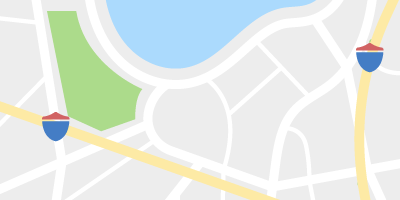 After your meal, consider ambling around the ancient streets near the southern tip of the Brooklyn Navy Yard. 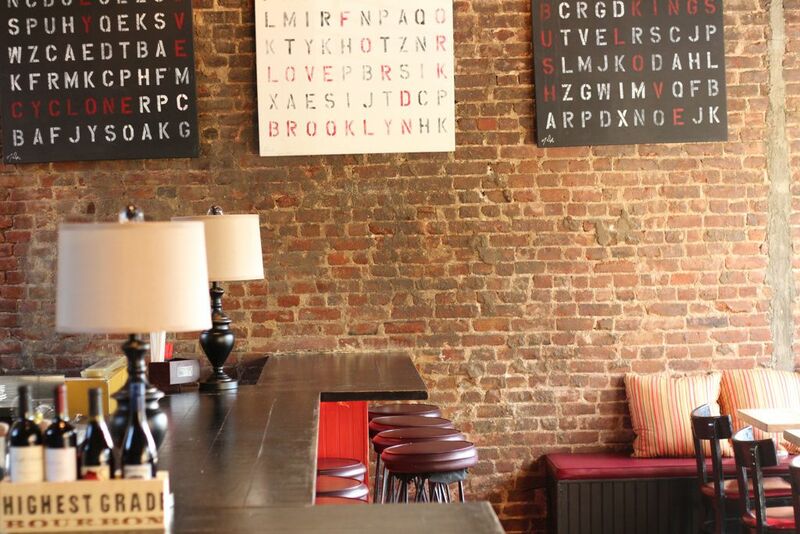 The laid-back Bed-Stuy restaurant offers a bunch of traditional brunch plates, as well as Southern-leaning dishes like shrimp and grits and fried green tomatoes. Parmesan grits can be added to any order as a side. 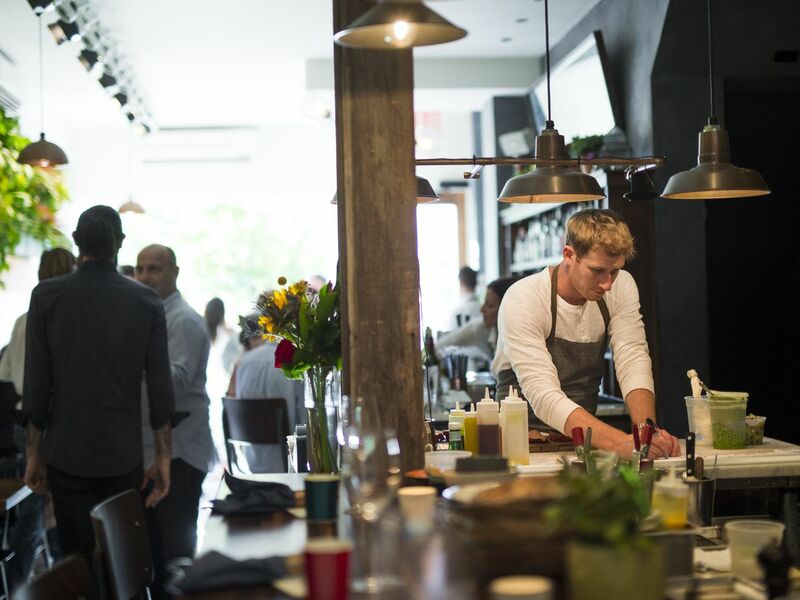 The Israeli wine bar transforms into a bustling brunch destination in the neighborhood on the weekend. 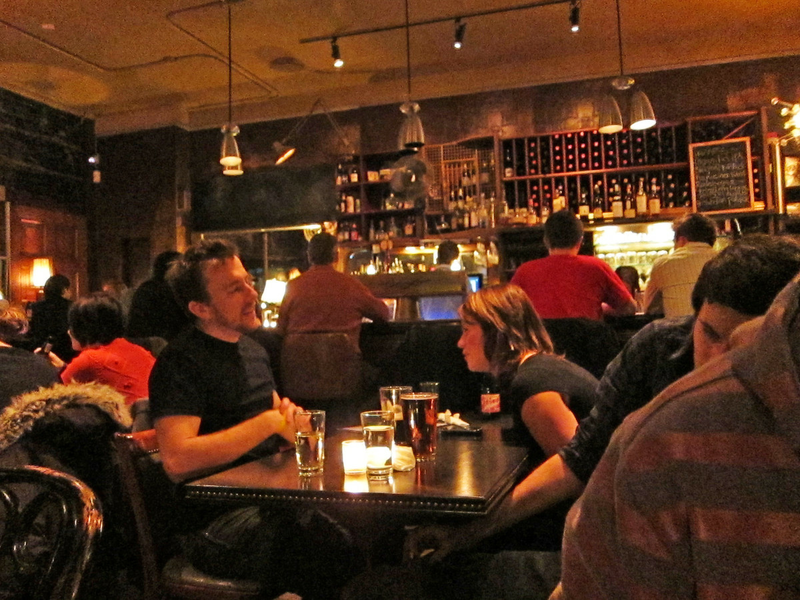 The service is lively, and if you sit at the bar, the staff will offer enthusiastic recommendations if you ask. It offers both brunch standards like omelets and breakfast sandwiches, but options like a bureka, and scrambled eggs with labneh provide a welcome and delicious change from typical fare. This small Prospect Heights diner is incredibly hot at brunch. 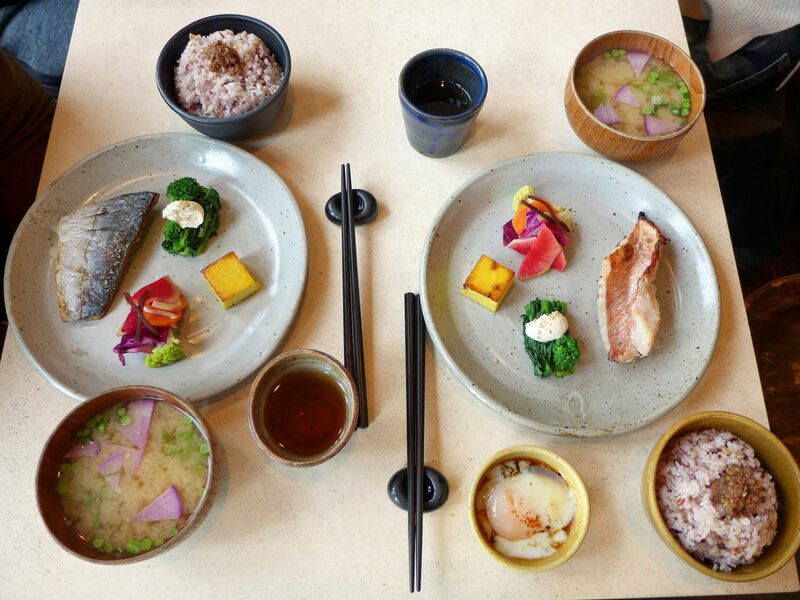 It focuses on comfort, both on the menu and off. Think classic Americana fare, such as chicken and biscuits or an everything bagel babka. Beyond food, the owners’ focus is on making the restaurant a queer space, and that emphasis has people lining up. Plus, there are free bowls of dry cereal, a mix of Lucky Charms, Froot Loops, Trix, and Golden Grahams. 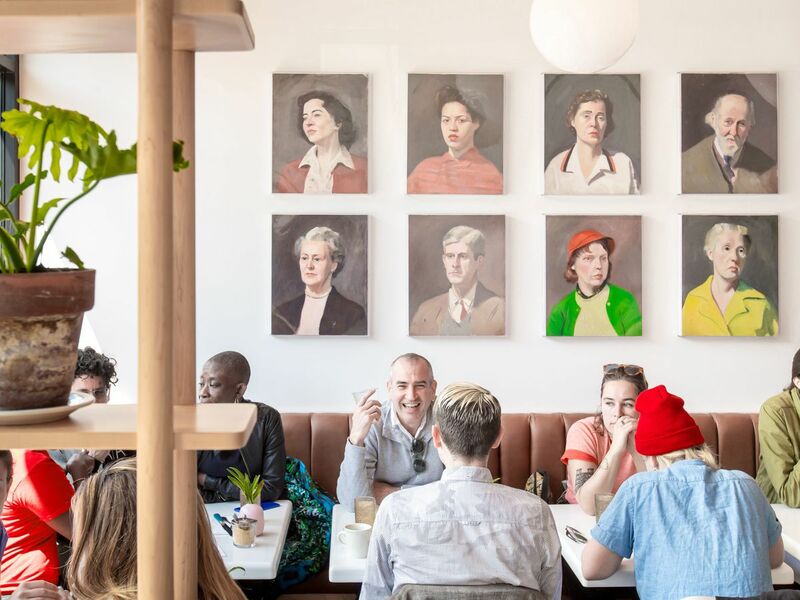 Prospect Heights neighborhood hit Olmsted rose to fame for its dinner, but its airy, plant-filled space has come alive with weekend brunch. The tight menu includes eclectic options like egg rolls filled with bacon, egg, and cheese, plus a grilled burger with a sauce choron. Waits can be long; on warmer days, sit in the back garden during your wait and indulge in carrot mimosas and snacks like a moist honey nut squash bread accompanied by clotted cream instead of butter. 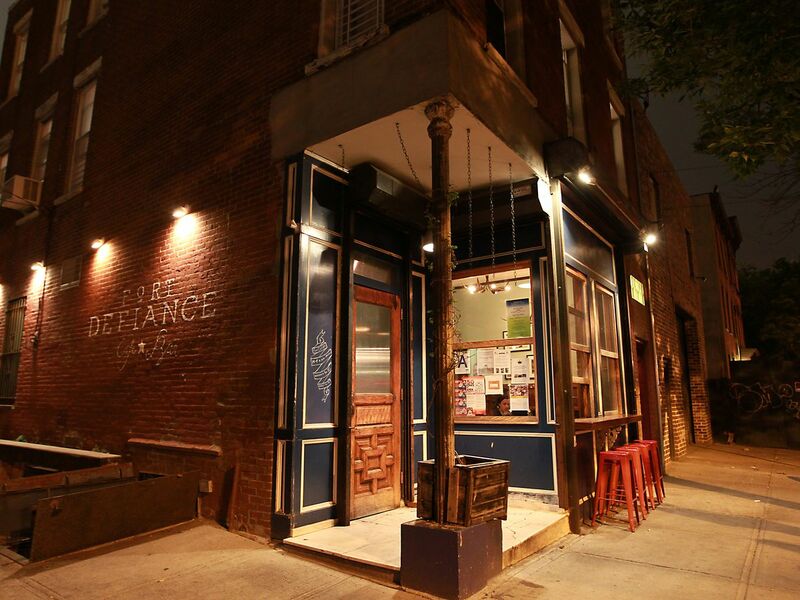 This is the kind of restaurant every neighborhood needs — it's got a lively vibe, and food that's reasonably priced and dependably good. For brunch, this Red Hooks staple serves red beans on toast, huevos rancheros, French toast, and a biscuit sandwich stuffed with eggs, ham, and jalapeño jam. The cocktails here are a few notches above what you find at your local neighborhood bistro. This neighborhood restaurant on Flatbush, known for its wines and warm service, continues its Italian bent at weekend brunch, where a breakfast sandwich on ciabatta gets a kick of pesto and pancakes are flavored with lemon and ricotta. A couple pastas are available too, including a popular orecchiette one with fennel-braised pork. The Ditmas Park gem offers brunch in its dining room as well as its charming garden, weather permitting. The restaurant is popular with families, and the menu focuses on classics with a twist, like a corned beef hash accompanied by beet mustard, and a burger on an English muffin.